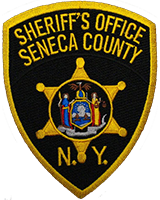 Seneca County Sheriff Luce has set a travel advisory for Seneca County to last until Midnight tonight. The roads are snow covered and slippery but passable at this time. Winds will pick up later causing drifting with freezing rain around 3:00 P.M. The Sheriff asks for no unnecessary travel until Wednesday morning. Please remember if you have to travel to make sure your vehicle is in good repair and you have extra clothing and emergency supplies in case you get stuck or break down. Deputies and highway workers will continue to monitor the road conditions and update when needed.